Welcome to our first post Vita launch interview. 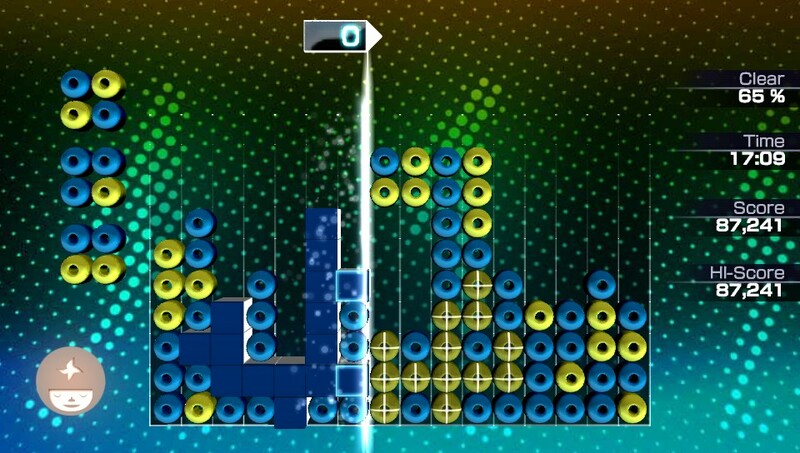 Today we have Q Entertainment's James Mielke, producer of Lumines: Electronic Symphony, here to chat about this PlayStation Vita launch title which is now available. Lumines: Electronic Symphony is looking to be a huge release, especially considering how successful the original was. 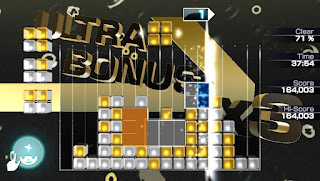 Having been described by the developers as a spiritual successor to the first Lumines, what is it about Electronic Symphony that will make it stand out above other Vita launch games? James Mielke (Producer): Well, as far as I can tell this is the only major puzzle game available at launch of Vita, so we've got that going for us. But even if we weren't, I think we'd really stand apart regardless, because we've poured so much effort and attention into each of the game's three pillars: gameplay, audio, and visuals. Spend some time with Electronic Symphony and you'll see that--between the soundtrack and skin designs and ease of playability--that this is a truly cutting edge puzzle game. Could you share some details about the game's social features, leaderboard challenges and multiplayer modes? Mielke: When we use the term 'social' we use it lightly. Our goal was not to transform Lumines into Farmville, but to make it easy for friends to compare results and personal stats with each other and the community. And, in the case of the World Block, contribute to a larger, overall goal in which your own individual playtime contributes to a greater effort. 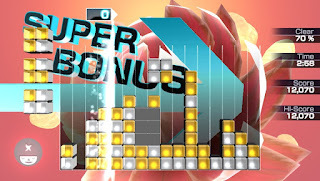 If the global Lumines-playing community, for example, clears 2 million blocks a day, everyone who logs in and uploads their progress gains bonus experience points towards their own personal game level. One interview about the game mentioned a revamped avatar system. Could you share some specifics about avatar abilities and how they work into gameplay? 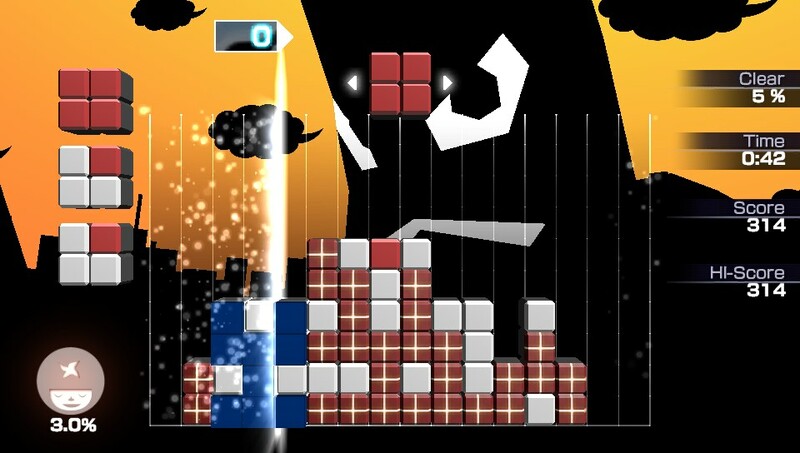 Mielke: In the past the Lumines avatars were merely a visual accessory to apply to your game profile. 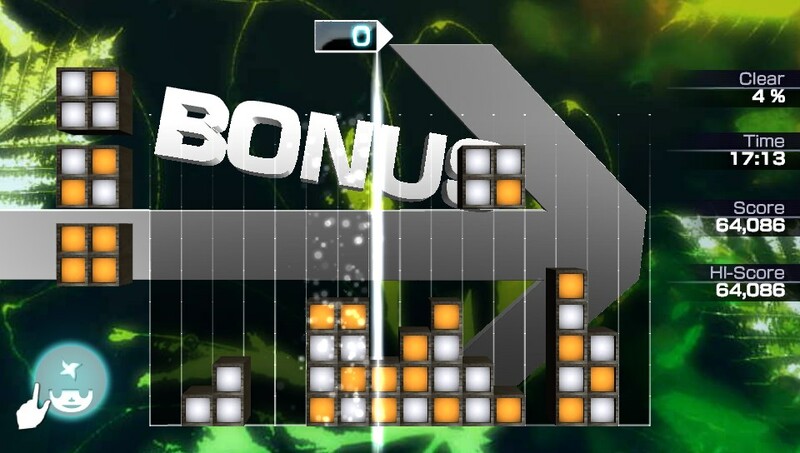 But one of the biggest pieces of feedback we received from Lumines fans was that the avatars should actually have a useful function. So we added powers to each avatar that, once the avatar meter is full, can be used in a variety of ways. Each avatar has a single- and multi-player ability, so choosing the right one to fit your play style is important. For example, the default avatar lets you generate a Chain Block, which clears any directly connected blocks of the same color. This can come in handy if you find yourself in a tight spot. Tapping your fingers on the rear touchpad triggers quantized sound effects, which adds to the sound experience, but also helps refill your avatar meter quicker. It's tricky to do and still maintain control of the game, though, so we don't think this is something that will break the game. How do you feel the Vita market will suit Lumines: ES? Do you feel portable console games still have a strong market? Mielke: I think as gamers grow older in general and move into college and/or the workplace, they'll find themselves with even less dedicated gaming time than ever. This makes handheld gaming more viable than before, and is probably one reason why iOS games have been so successful. The Vita is obviously for gamers who want a similar 'quick play' experience, but want a higher overall level of quality. 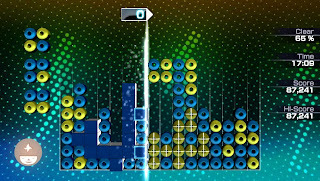 So, with all those things considered, I think the Vita is the perfect market for Lumines, which offers stages that are around 3-4 minutes long, and a console which can be powered down into sleep mode at any point, and restarted to resume one's progress with ease. 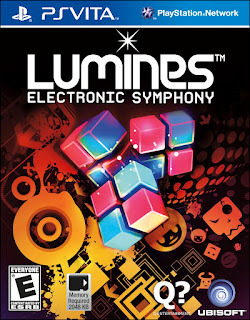 Was there any debate about going digital only for Lumines and not doing a physical release? Why or why not? Mielke: There was never really any debate. Part of Sony's expectations for early major release titles was for the games to be available in both digital and physical formats. When you're launching a new product you need to get all consumers involved in the excitement, and part of the excitement is in being able to actually see the products. Another facet of this reboot of Lumines was to really create a super high-quality puzzle game that would clearly distance itself from simple, downloadable iOS puzzle games. In order to achieve this we thought it was necessary to put this game in front of people at retail. 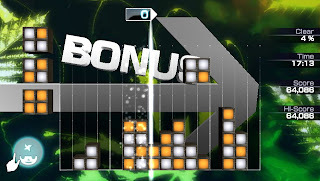 So, for multiple reasons Lumines was always planned as a physical release. Is there anything else about future Vita support that you'd like to share? Maybe something people have yet to ask about? Mielke: I think the Vita is the perfect gaming system. It's got all of the bells and whistles (dual sticks, beautiful screen, touch controls, connectivity) and it's portable. There are so many things you can do with this handheld, and it's only a matter of time before people really see the value of it. Any plans for DLC at this time? Mielke: We have nothing to announce regarding DLC at this time. Many thanks to Mr. Mielke as well as the Ubisoft PR team who helped to arrange this interview. 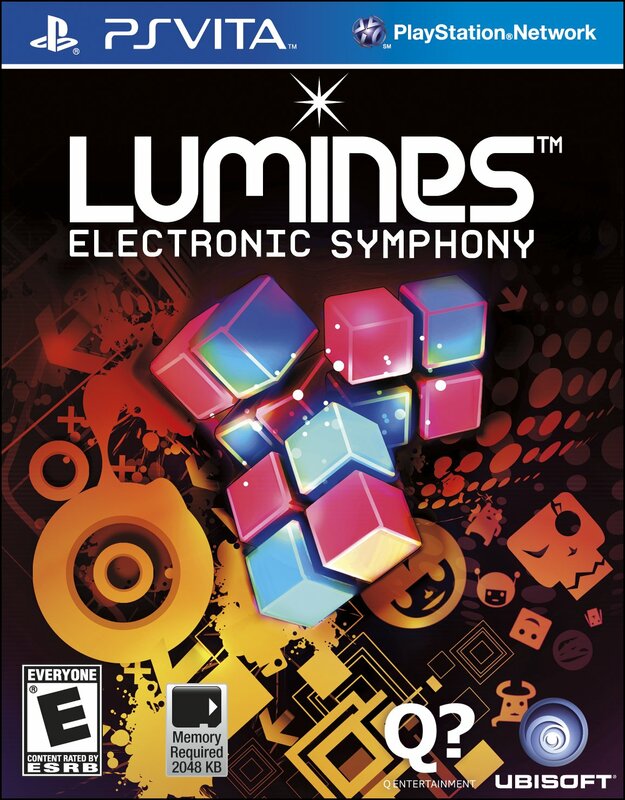 Lumines: Electronic Symphony is available now in stores or via the PlayStation Network.